It’s a whole new year and for many people, that means it’s time for their annual New Year’s resolutions. Do you remember the resolutions you made last year? What about the year before that? If you are like most people, your New Year’s resolutions were made with the best intentions. But they probably were forgotten by the time President’s Day rolled around. This year, why not make New Year’s resolutions that you can actually achieve, such as treating yourself to a Brazilian keratin hair straightening treatment by Maria Teixeira at your local professional hair salon? Unlike New Year’s resolutions that are more difficult to accomplish — such as stopping smoking, losing weight, or spending more time with your friends — resolving to get a Brazilian keratin treatment is as easy as calling your favorite local hair salon and making an appointment. It’s actually something you can do right now. 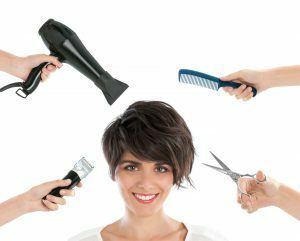 There are numerous benefits to making this year’s New Year’s resolution be to get a keratin treatment. For one, it’s something that is actually achievable. For another, it will improve your look, giving you more confidence and more happiness heading into the New Year. The best thing about a new year is that it offers a fresh start. This year, you can make it all about you by treating yourself to a Brazilian keratin hair straightening treatment by Maria Teixeira. And because your keratin treatment will last several weeks, if not a few months, you can enjoy your new straight, luscious hair long into the new year. Rather than making vague or impossible New Year’s resolutions you won’t remember a few months from now, change it up. This is your year. Make the most of it with a Brazilian keratin hair straightening treatment by Maria Teixeira.